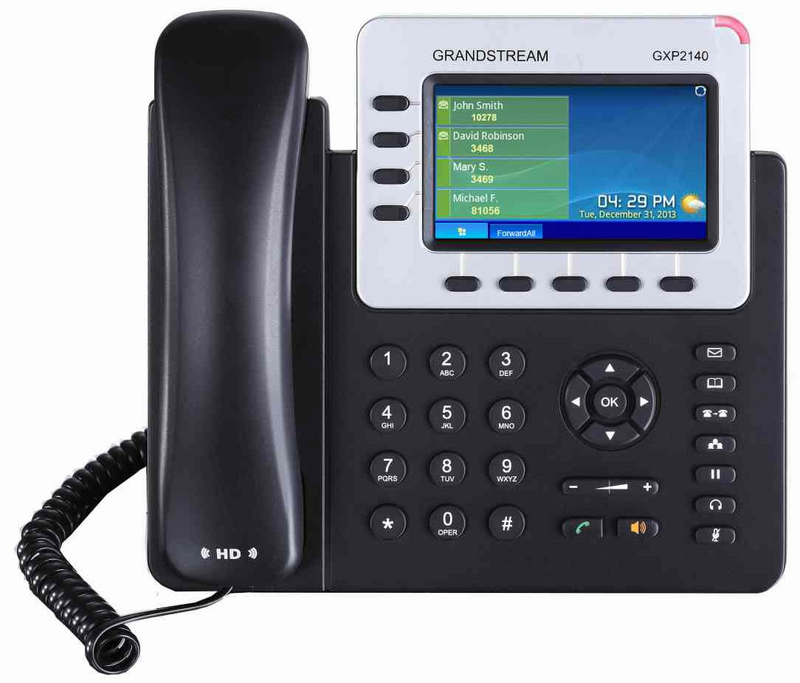 The Grandstream GXP2140 brings a rich and vibrant display, and call control to the medium to high-volume call user. 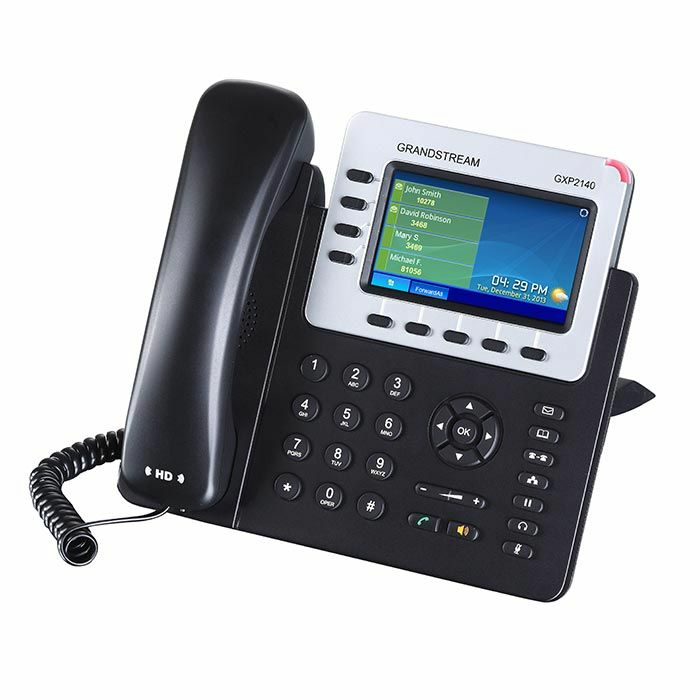 It provides the perfect balance for the call-intensive user’s desktop, with its 4 lines, 5 programmable soft keys and feature-loaded call controls. It also features a 4.3” color LCD display that creates a high-quality user experience, and its dual Gigabit PoE ports, HD audio, and integrated Bluetooth makes the GXP2140 highly versatile as well.